1.Use Rave Alert, BC’s emergency notification system. Add your personal emails and phone numbers and receive instant notifications as soon as status changes. Go to http://bellevuecollege.edu/alerts/ to manage your settings. 2.Visit the BC home page – Closure status will be posted. 4.Visit FlashAlert to subscribe to their emergency email and text message service or view BC’s status. 5.Suspended Operations/Inclement Weather Leave Usage information can be found here. Public Safety initiates the closure decision process as soon as the threat of snowstorms appears in forecasts. The Vice President of Administrative Services and the President are involved in making a decision to close campus. A decision on whether to close the campus will be made by 4:15 a.m. if possible, and student, employee and public notification of that decision will begin immediately. These procedures will be followed in any sort of emergency that affects campus operations. The President or the Vice President of Administrative Services sends an email to all BC network users. Public Safety also immediately begins to notify instructors and students in classrooms. Rave Alert, BC’s emergency notification system – BC will send an e-mail and/or text message alert as soon as possible whenever the college closes due to weather or any other emergency. Sign up for this service at http://bellevuecollege.edu/alerts. This system receives the highest priority among several channels the college uses to communicate emergency messages to students, faculty and staff. FlashAlert – BC (and 125 other Puget Sound-area schools) posts emergency communications on the FlashAlert website. This is the source the media use to get their closure information and will be BC’s second priority in disseminating emergency messages. You may visit the site to view the messages and/or subscribe to FlashAlert’s email and text message service. Most TV and radio stations broadcast these messages periodically. (Please remember: TV & radio stations do not name schools that are staying open. If BC is not mentioned, assume that classes will meet and offices will be open as usual. BC’s home page -The College’s current status will be posted on the home page. The college also highly encourages individual departments to use telephone trees to inform your staff. It is helpful for administrators and key support staff to put an alternate greeting on their campus phones during an emergency closure. The message should include the day and date, and the reason for the closure. 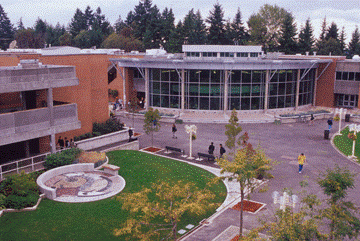 (For example: “Thank you for calling [___office or department name___] at Bellevue College. On [___day, date___] all college offices and services are closed because of the [___e.g. severe snowstorm___]. We’re sorry to miss your call and hope you will leave a message or call back when the college has re-opened.”) This message will have to be updated, obviously, if BC is closed more than one day. When prompted, enter your password then follow instructions. If the college is staying open no messages will be sent/posted and faculty and staff are expected to make a reasonable effort to come to campus and maintain services for students as much as possible. At the same time, however, BC does not expect people to endanger themselves to do so. If there is a weather emergency, use common sense, check traffic advisories and other information resources and exercise your own judgment about your local conditions and circumstances. Be sure to follow your division or unit procedures for calling in absent if you are unable to make it to campus.